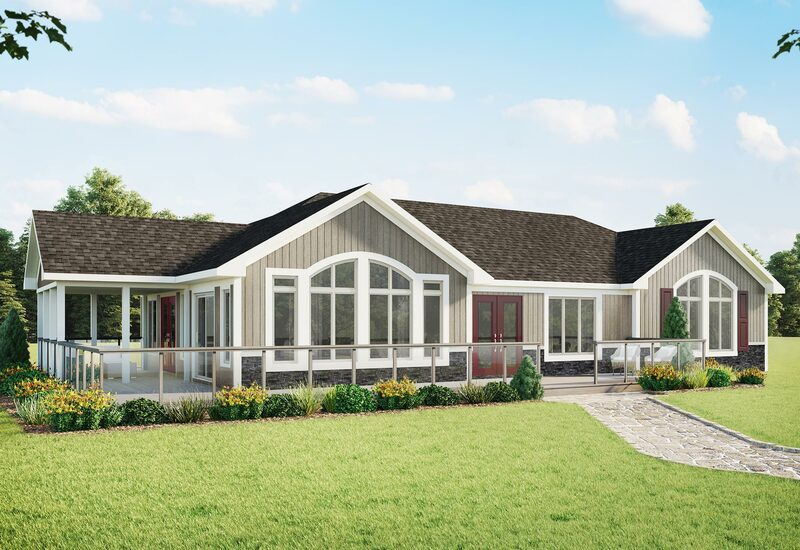 The Norland is a spacious, three bedroom vacation home, ideal for a lakefront or country lot offering incredible views from every room and its large, optional deck. 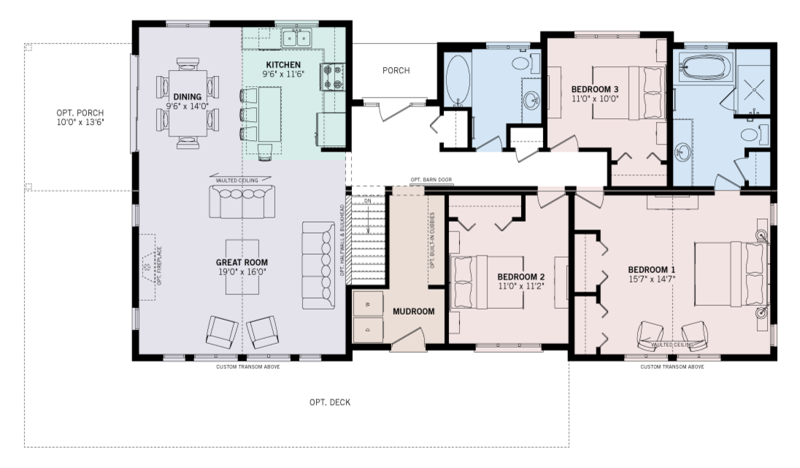 A fabulous, open concept kitchen with breakfast bar and island makes meal preparations enjoyable. The dining room opens to a large great room with cathedral ceiling, ideal for family get togethers and entertaining. The three bedrooms are located on the right of the home for privacy.